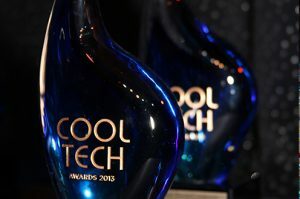 Awards – MSM Group, Inc.
“I’ve met some of the coolest people in the world and worked on some of the coolest projects in the world, so it is fitting to be considered and awarded a Cool Tech Award for the stuff that we create”, said Scott Wickham, Chief Software Architect of MSM Group, Inc. The NASA Office of Small Business Programs presents the Small Business Advocates Awards (SBAA) and the Small Business Industry Awards (SBIA) annually during the NASA Small Business Symposium and Awards Ceremony. These awards recognize the outstanding contributions made by NASA employees and industry representatives in support of the Agency’s small business program. The NASA Glenn Research Center, as part of its 2009 Small Business Industry Awards (SBIA) program has selected MSM Group Inc. as its Small Business Subcontractor of the Year. The NASA program recognizes the outstanding Small Business Prime, Large Business Prime, and Small Business Subcontractor that support NASA in achieving its mission. NASA Glenn’s selection of MSM also means that they will nominate MSM for the 2009 NASA agency-wide award in the same SBIA category. MSM Group Inc. was nominated by its prime contractor, Sierra Lobo, who performs Test Facilities Operations, Maintenance, and Engineering (TFOME) services at the NASA Glenn Research Center. MSM’s main contribution to TFOME has been the development and implementation of an enterprise approach to integrated business tools and processes for task planning, execution, monitoring, control, and reporting. Each year, COSE (Counsel of Smaller Enterprises) recognizes 10 businesses with 10 or fewer employees for their best practices in innovation, growth/success, value to the community and environment, diversity, promotion and customer service excellence. These 10 COSE businesses are small in manpower but mighty in their ability to innovate, grow and reach ambitious goals. They’re thriving and setting the pace for success. They’re the proud COSE Ten Under 10. After working around NASA contractors for close to 30 years, Kevin M. McQuade set a big goal for his business—to reinvent the way NASA small business contractors work, and to help the government work better and cost less. McQuade founded MSM Group Inc. in 1999 and developed project management accounting software called iSite to link contractors’ business processes and information technology so they can better compete for and deliver NASA contracts. iSite is a cloud-based software system that helps minority business contractors working for NASA to manage program resources in a cost-efficient way. Basically, the system lowers the cost on NASA contracts—and NASA is taking notice of this. 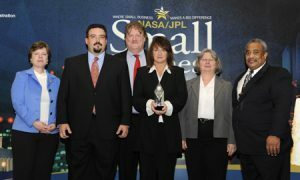 In 2009, MSM Group was recognized as NASA Small Business Subcontractor of the Year. To grow the business at the 20 percent annual clip, MSM has expanded its iSite target contractor/customer to larger minority businesses and those serving other NASA facilities. He moved to the beltway a couple of years ago, working there Monday through Friday to develop and deepen NASA relationships. In that time, he expanded his services to include three other NASA centers. “Part of the challenge has been expanding our products and getting ourselves out there,” McQuade says. The firm continues to grow: it added two employees in 2010 and secured an SBA line of credit with KeyBank to finance investments in IT infrastructure and software development staff.